Welcome To Ruthia's Style The Home of Creativity! Ruthiastyle is into Ethnic inspired garment making, Wearable Art (Souvenir T-Shirt, Beachwear & Bags,etc) & Home creative Art (Bedding's, Table Linens, Bean Bags, Throw pillows, Wall Pictures, etc) Hand-made Items, Fashion accessories,Fridge magnet, key-holder, Offer training & mentor-ship in Fashion design/construction, Source for Nigerian fabric & also produce Tie & Dye/Batik fabrics and apparels, Produce instructional dvds and author books in fashion related subjects, etc. Ruthiastyle is focused on sharing vocational experiences with both beginners and professionals that needs refresher exposure to different areas in fashion for individuals, cooperation and Home. visit our store on Konga.com or Jumia.com.ng to buy necessary tools, books and Dvd's from our collections. ****2018 Registration still on-going (Lagos Location Only)....Hurry As space is Limited to 12 in a Class! 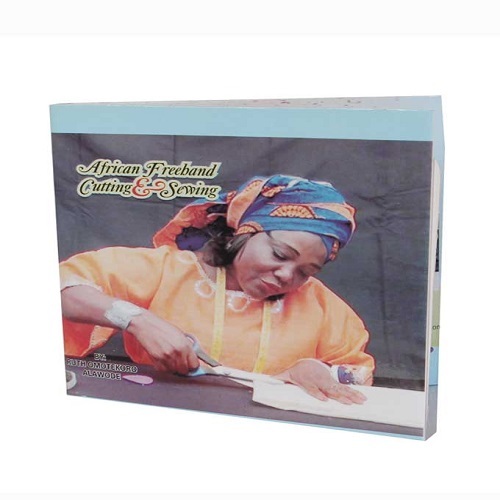 New Release Of Africa Cutting & Sewing of Unisex Clothing...DVD! ***Ruthiastyle Sell (Retail & Wholesale)an Assorted spectrum of Fashion, Craft and Cake Decoration tools and materials, which can help you as a would-be-designer, Designer or Craft Artist. ***Ruthiastyle Consult: Do You Want to Start-Up Your own Vocational/Fashion School by using the Ruthiastyle Easy and Fast System? Then click on my Fashion Consultant Page to communicate your interest.